GIWA’s Swachh Bihar Yatra Hits the Road! Three-Month Campaign to Inspire Masses to Build and Use Toilets through a Faith-Based Approach Begins. Rishikesh- With the singing of slogans under a Himalayan sky, the historic Swachh Bihar Yatra was flagged off today at Parmarth Niketan, Rishikesh. It will be the nationâ€™s first to take the Faith Based Approach for a clean and healthy India on the road, in support of Hon’ble Shri Narendra Modiji’s inspired Swachh Bharat Mission, India and the Lohiya Swachh Bihar Abhiyan. 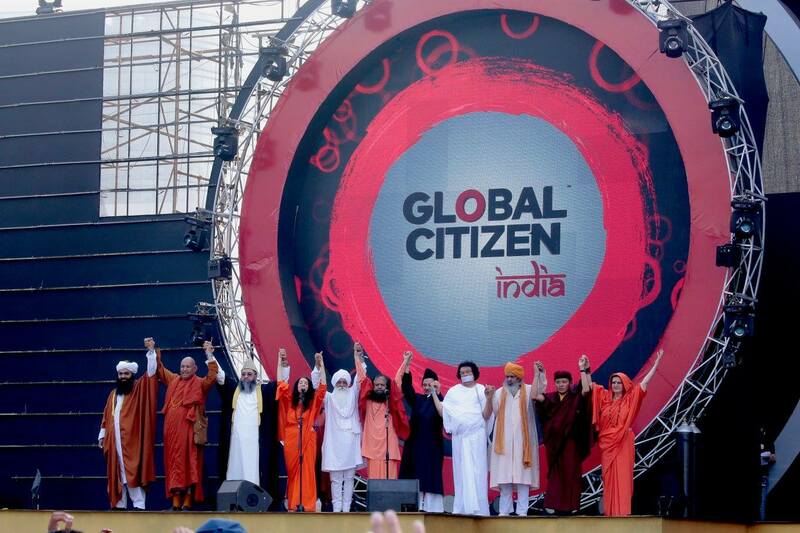 The Swachh Bihar Yatra is being organized by the Global Interfaith WASH Alliance (GIWA), under the guidance and inspiration of GIWA Founder, Pujya Swami Chidanand Saraswatiji – Muniji, President, Parmarth Niketan, Rishikesh. * mass pledges and more, on a daily basis.